Recently, I’ve had quite a few conversations with East Coast venture capitalists who feel West Coast investors are getting too much credit for the East Coast’s early risk taking. The common wisdom is that West Coast VCs are the big risk takers, but in a handful of significant companies, East Coast firms like Spark, Union Square Ventures, or First Round Capital lead early rounds while bulge bracket Sand Hill Road firms paid up to pile in later– once the idea was proven. Those Sand Hill firms meanwhile are getting most of the credit. It’s a messy argument to make, given the state of seed investing “party rounds,” where more than a dozen investors may pile in on a seed deal– some from the East Coast, some from the West Coast, some from Middle America. You have to look at who lead those early rounds, not simply whose name shows up on Crunchbase. via Do East Coast VCs get enough credit? | PandoDaily. “The National Gateway, a multi-state public-private partnership seeking to create a state-of-the-art freight rail route between Mid-Atlantic ports and Midwestern markets, is poised to create significant environmental benefits including lower emissions and reduced fuel consumption. 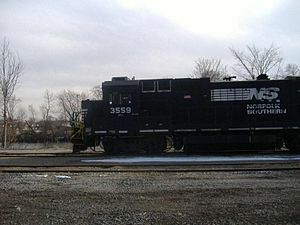 “CN (TSX: CNR)(NYSE: CNI) – North America’s largest mover of forest products – is on track to haul more than 800,000 tons of wood pellets (http://www.cn.ca/woodpellets) this year and sees more opportunities in the future for this “green” source of heating energy. “Major power plants and residential consumers in North America, Europe and Asia are turning to wood pellets as an alternative to fuel oil, gas or electricity to heat homes. In addition, wood pellets are being used increasingly in industrial applications such as district heating plants, greenhouses, and cement and aluminum production facilities. “Wood pellets, made from waste wood such as wood shavings and sawdust, are carbon neutral and do not contribute to global warming because they emit the lowest greenhouses gases of any fuel burned. The U.S. Environmental Protection Agency has endorsed wood pellet heat as one of the cleanest burning, most renewable energy sources on the planet. PIERS and Railinc to Track Movement of Containerized Cargoes within U.S.
“NEWARK, N.J., Sept. 22 /PRNewswire/ — PIERS(R) Global Intelligence Solutions, a UBM Global Trade company, and the leading source for data on U.S. waterborne imports and exports, announced a strategic alliance with Railinc, providers of IT solutions and information systems to the nation’s rail network. Author rjbaileyPosted on September 22, 2009 Categories UncategorizedTags Business, Cargo, Containerization, Rail transport, Transportation and LogisticsLeave a comment on PIERS and Railinc to Track Movement of Containerized Cargoes within U.S.
“NORFOLK, Va., July 16 /PRNewswire-FirstCall/ — Norfolk Southern announced today that it will construct a new intermodal terminal in Rossville, Tenn., in Fayette County, to serve the Memphis region, as part of the railroad’s Crescent Corridor initiative to establish a high-speed intermodal rail route between the Mid-South and Gulf Coast and the Northeast. The $129 million facility, in which freight is transferred between truck and rail, will occupy a 570-acre site and is expected to open in January 2012.